Check out today's pricing and retail availability for Chateau d'Oupia Minervois. 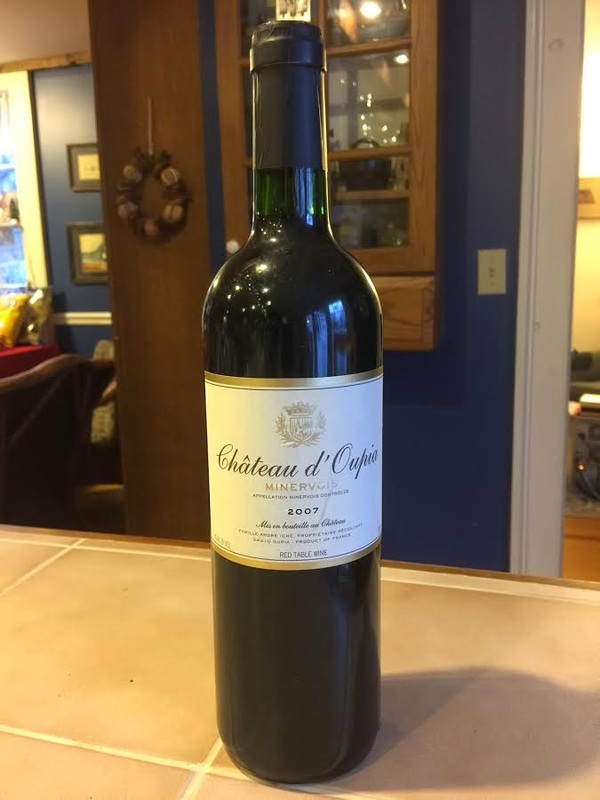 Original tasting and review : This is Chateau d'Oupia, Minervois, Languedoc, France, 2007, finished at 13% alcohol and first sampled seven years from vintage date, in December, 2014. In the glass: Deep muddy magenta, opaque from a half inch in. On the nose: Poured at cellar temperature and swirled vigorously, shows barnyard alert! Plenty of brett hiding the deeper fruit. From the aroma, seems like this will be horseblankets and wet hay! On the palate: The primary elements on the palate are in fact fleshy old-school brett, but plenty of dense fruit surrounding it. Fresh and big. In summary: Overall, rates three stars on the five-star Spirit of Wine scale, making this a best value at its bargain price point.